Quote: "Locals say they saw flames and smoke as a major bubble of methane blasted below the surface and created another sinkhole in the Russian Arctic peninsula. Reindeer herders in the area of Seyakh, a village on the eastern coast of the Yamal Peninsula in the morning of June 28th reported the incident to the local authorities. They say that they from the distance saw flaring flames and a column of smoke from the area, TASS reports. It is believed that the explosion took place place about 30-40 km from Seyakh." Quote: "The formation of both craters involved an explosion followed by fire, evidently signs of the eruption of methane gas pockets under the Yamal surface." Quote: "The spokesperson initially said that witnesses reported seeing the plane 'explode in the air,' but later said that information didn't appear to be correct. However, the sheriff later verified that information mostly likely is correct. 'Most of the the people are telling us that the plane did come apart in the air, and from what we've found at the scene, that's evidently what's going to have happened,' Langford said." Quote: "Firefighters said a large pile of trash inside the building somehow caught fire." Quote: "A fire reported to officials just before 9 a.m. is still being attacked by Sunnyside, Grandview, Toppenish and Yakima County Fire District No. 5 firefighters tonight. The fire erupted behind Contreras Auto Repair, 405 Scoon Road, consuming large stacks of pallets." Quote: "A car caught fire and quickly spread to a cottage in the Klein Shore Resort. From there, the fire swept through three other units sending flames high into the air that could be seen on the busy Highway 70 bridge and across the crowded lake." Quote: "At least six people were killed and 24 other injured when a passenger van caught fire in Pakistan's central district of Multan on Sunday, rescue officials said. An official from the rescue team said they have shifted six bodies and 24 injured people from the site to Nishtar Hospital in Multan, a district in the country's eastern Punjab province. The official said the death toll might further rise as at least three of the injured are in critical condition." Quote: "A plane caught on fire Sunday as it arrived at Denver International Airport. Flight 5869 left from the Aspen-Pitkin County Airport in Colorado and landed in Denver, but passengers were forced to exit the airplane on the runway as flames erupted from part of the aircraft." Quote: "A fire broke out at the Chattanooga Public Works facility damaging several garbage trucks. Chattanooga firefighters say it happened just before 7 p.m. on Sunday on 12th Street. Crews forced open the locked gate to get close enough to the burning trucks." Quote: "The property is described as a 'residential waterside development' with at least one of the properties on the market for more than £1million." Quote: "It comes after another block of flats in Bethnal Green caught fire at the end of June. And the capital is still coming to terms with the devastating blaze at Grenfell Tower that killed at least 80 people." Quote: "Several Lamborghini cars, of which the cheapest are priced over $200,000, have been destroyed in a massive fire at Shanfari Motor Company in Muscat, Oman." Quote: "There were absolutely no signs or indications of mechanical issues when one of the Richland Fire Department's trucks caught on fire Monday. The fire was so hot it melted the aluminum on the truck. Reporter Jaclyn Selesky saw the damage to the truck today, which unfortunately is a total loss. It was a brand new fire truck that wasn't even in service yet." Quote: "Six fire engines and 35 firefighters and officers were called to a fire in a scrapyard on Salamons Way in Rainham this afternoon. Around a quarter of the yard, which contains four portable cabins and 30 cars, was alight." Quote: "This is the second blaze that has broken out in the area in the space of a week. On Monday, June 26, officers were called to Ferry Lane, Rainham, to tackle a fire at a car storage yard." Quote: "He said a mixture of metal shavings and other combustible materials at the facility caused the fire to start." Quote: "Upon arrival, fire fighters discovered pallets on fire and were able to get the fire under control quickly, cancelling the first-alarm call for assistance, according to Chandler officials." Quote: "The incident was originally reported as a car fire at 1:13 p.m., said San Bernardino County Fire spokesman Eric Sherwin." Quote: "Las Vegas Fire & Rescue respond to fire on parking deck for Bank of America at 300 4th St. LVFR says a vehicle caught fire. 2 other vehicles also damaged. No injuries reported." Quote: "First blaze was reported at around 9:30 p.m. at an auto body repair lot at 710 River Street. The fire involved multiple vehicles and two storage trailers at the car lot. Fire reached second-alarm and was contained at around 11:39 p.m., said deputy fire chief Pablo Del Valle." Note: Anything that uses electricity or a flame and which moves the atmosphere around is a serious fire threat now: heating units, boilers, AC units, fans, ventilation systems, etc. Quote: "A medical practice in North Hykeham was forced to close after a gas leak was reported. Firefighters and gas workers were called to the Crossroads Medical Practice in Lincoln Road, North Hykeham, after the suspected gas leak on the premises. Members of the public were urged to stay away. However, the suspected gas leak ended up being 'a sewerage type smell in the air'." Quote: "Practiced for only the last decade, not much is known about the microbial ecosystems in the fracture networks. Sulfide-producing microbes cause multiple problems for drilling operations. Hydrogen sulfide can 'sour' a well and must be separated from oil and gas in an expensive process. Sulfides can be toxic to the workers on the drilling pad and can also corrosively degrade metal pipelines." Quote: "A flight to Hong Kong was forced to return to Auckland after one of its pilots fell sick soon after take-off. The packed Air New Zealand flight departed just before midnight and was making its way over the Tasman Sea when the pilot became unwell." Quote: "The lab is on the National Register of Historic Places and is home to a climatic chamber where testing has been conducted on all military aircraft since 1947. Any climate environment can be simulated within the lab, according to the lab’s website." Note: Maybe they were testing to see what happens when the Earth's atmosphere fills up with explosively flammable gases. If so then now they know...BOOM! Quote: "Firefighters responded the fire around 1:30 a.m. and say the building on the property is pretty close to a total loss. The fire also caused damage to a couple of cars." Quote: "Firefighters are currently tackling a large blaze involving a number of cars at a workshop in South Ockendon. Eight crews from across the county rushed to the scene of the fire in Dennises Lane shortly before 6.30pm (July 5). When firefighters arrived at the scene they discovered that a number of cars piled in a stack were alight." Quote: "The Montgomery Fire Department was called to investigate reports of a 'gas odor' at the Montgomery Municipal Justice Center on Madison Avenue Thursday afternoon after employees complained of a strange smell. Sgt. Omari Whiting said a team was brought in to monitor the air quality but no alerts were received, so the air was deemed safe." Quote: "Gas network managers say that the origin of a gas smell that covered the region yesterday remains a mystery. The smell appears to have originated in Gosport, before spreading to Portsmouth and Fareham." Quote: "A kayaker on the Sauk River helped rescue another kayaker who had a medical problem Sunday and was unresponsive on his watercraft. Stearns County deputies credited Steven Cole, of St. Cloud, with helping them get the stranded kayaker out of the river and to the hospital for treatment. Richard Stoplman was kayaking on the Sauk, near Heim's Mill, when his kayak capsized. A person who lives along the river called to report that Stolpman was able to get back into the kayak but soon after appeared unresponsive." Quote: "Emergency services were called to a moored houseboat in Tauranga harbour this afternoon after a person suffered a medical event on board. A member of the public ferried rescue staff out to the boat. Fire and Emergency NZ northern communications centre shift manager Daniel Nicholson says a man on board the boat has suffered a medical event." Quote: "Police said that they understood a youth had fallen from the roof of premises next to the Leeds and Liverpool Canal, in the Wyther Lane area between Kirkstall and Bramley, but were unable to provide further details." Quote: "Three people were injured and an office building was evacuated after an underground vault explosion Friday afternoon in Beverly Grove, officials said." Quote: "Later in a Tweet, the fire department said 'the incident involved (an) underground power vault.'" Quote: "Twitter users had reported hearing a 'loud bang', while one train user said she saw a 'huge explosion'." Quote: "Flames and smoke were visible at least eight miles away across the bay in San Francisco. 'There was this enormous jet of fire,' said Mark Ciana, who watched the fire from a commuter train. 'It was kind of horrific to see a fire of that scale.'" Quote: "Flames from a nearby auto storage yard fire have reportedly scorched the outside of a Lodi winery tasting room on Locust Street. Burning car parts in an auto shop’s yard behind Jessica’s Grove Winery Ice House on Locust Street caused billowing, black smoke to fill the air in the area." 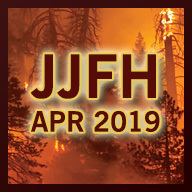 Quote: "On Friday, the Anchorage Fire Department responded to a vehicle fire that temporarily closed the Glenn Highway, and while responding to the first fire, a second vehicle caught fire nearby. AFD says the two vehicle fires were unrelated, and they cannot yet determine the cause of either fire." Quote: "Flames from a burning car on the Cuesta Grade ignited a fast-moving brush fire on the hillside next to Highway 101, forcing the closure of two lanes of traffic right at rush hour. A silver Mercedes-Benz sedan caught fire about 4:20 p.m. on the right side of the highway, just north of TV Tower Road, according to the California Highway Patrol." Quote: "Scientists estimate more than 7,000 dangerous methane 'bumps' have formed in the region over the last couple of years." Quote: "A blistering heat wave has broken a 131-year-old record in Los Angeles. The National Weather Service reports that the temperature hit 98 degrees Saturday in downtown Los Angeles. That beats a record of 95 degrees for the date set in 1886. Other records for the day fell at the weather service office in Oxnard and nearby Camarillo, both in Ventura County. Oxnard reached 90 degrees, up from 87 back in 1992. Camarillo registered 88 degrees, topping a 1997 record of 87. Temperatures in the city of Riverside reached 108 degrees, beating a record of 106 set in 1908. Elsinore also set a new record. Temperatures there rose to 114 degrees, the highest since 1921. On Friday, Palm Springs hit 122 degrees. Its previous high for July 7 was 117 back in 1976. Southern California is under an excessive heat warning with triple-digit temps expected in valleys and inland areas." Quote: "Firefighters were called to a van alight on the A3 Tolworth Underpass yesterday evening (Saturday 8 July). The fire completely damaged the van and sadly a man was pronounced dead at the scene. The Brigade was called at 2145 and the incident was over by 2228." Quote: "Smoke could be seen for miles after an electrical fire and explosion erupted inside a Los Angeles Department of Water and Power facility in Northridge, leaving many people without power on a hot Saturday." Quote: "Hundreds of people have been ordered out of their homes in Kelowna, B.C., on Saturday after a six-storey condo development under construction caught fire and collapsed." Quote: "The blaze, which was sparked by a car fire, started about 1:40 p.m., according to the California Highway Patrol." Quote: "There were are more than 180 fires burning around the province on Saturday, according to the B.C. Wildfire Service. The service said there were 138 confirmed wildfire starts in one day across the province, mostly in the central Interior." Quote: "At least 10 homes have been destroyed and five have been damaged. Cal Fire estimates that 5,400 structures in the area are threatened." 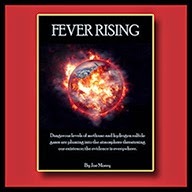 Quote: "Firefighters were contending with more than 200 wildfires burning in British Columbia that had destroyed dozens of buildings, including several homes and two airport hangars." Quote: "Rob Schweizer, manager of the Kamloops Fire Centre, said it had been an unprecedented 24 hours. 'We probably haven't seen this sort of activity that involves so many residences and people in the history of the province of B.C.,' he said." Quote: "It is the first state of emergency declared by the province in 14 years." Quote: "People feared the building would 'explode' and described the 'crazy scenes' which was like a 'disaster movie'..."
Note: In the wake of the 'destruction', some news outlets were afflicted with 'Overquote Syndrome' where they were 'unable to control' their use of 'quote marks'. Damn, they infected me with it too! Quote: "The Eugene-Springfield Fire Department had no idea what caused what residents saw and heard Monday." Quote: "For the third time in as many years, an Allegiant Air flight made an emergency landing at St. Petersburg Clearwater Airport on Sunday. This time, the reason for that diverted flight was the smell of smoke inside the aircraft." Quote: "The plane is believed to have exploded in mid-air. Investigators said they found debris on both sides of the highway, leading them to believe an explosion happened prior to the crash." Quote: "Witnesses said they heard low, rumbling explosions when the plane was still high in the sky, saw the aircraft spiraling toward the flat landscape and spotted an apparently empty parachute floating toward the Earth. Bodies were found more than a mile from the main crash site." Quote: "Andy Jones said he was working on his family's catfish farm just before 4 p.m. when he heard a boom and looked up to see the plane corkscrewing downward with one engine smoking." Quote: "The fire chief of Greenwood, Marcus Banks, said that the radius of the debris is 5 miles, according to the Greenwood Commonwealth." Quote: "Sixteen people are dead following a Marine Corps airplane crash in Mississippi, according to authorities at the crash site." Quote: "Residents in a sleepy Mexican town fear that a new volcano is bubbling under the ground after an eruption of gas and smoke emerged from a field, local media reported. Cracks have appeared on the ground in Pueblo Viejo in the southern state of Michoacan, with temperatures of some 250 degrees registered in the subsoil. Local residents gathered at the site with preliminary investigations revealing that the cause of the eruption was geothermal activity from an underground swamp. Smoke has been rising from the ground since Sunday and local authorities have set up a security cordon to stop residents from getting close and possibly getting burnt by the high temperatures." Quote: "It was suggested that perhaps the smell could have possibly come offshore. According to Facebook, residents have suggested that the smell originated from around Ocean Plaza and has now spread to other areas of Southport, including High Park, Churchtown and Birkdale." Quote: "Workers, residents and early-bird shoppers had their noses arrested by a foul smell in Exeter city centre this morning. But authorities, so far, say they don't know what's to blame, and South West Water say they have received no reports at all of a bad smell in Exeter city centre." Quote: "Another theory is an issue with a sewer or drain. However South West Water has not identified any issues with their drainage system in the city centre." Quote: "Flights in and out of the Dutch airport of Eindhoven were halted for two hours Monday when the control tower had to be evacuated because of a strange smell." Quote: "A rotten egg smell coming from SA Water’s Wastewater Pump Station on Frederick Rd is causing a stink among nearby residents and businesses. Peter and Sarka Laznicka, who live on adjacent Lochside Dr in West Lakes, said the smell is so intense they wake up in the mornings with headaches from being exposed to it." Quote: "Dr Laznicka, a retired geology professor, said residents had been overwhelmed by hydrogen sulphide — the gas that smells like rotten eggs — for decades until it subsided for a period, only to recently make a return. 'Several years ago, SA Water started pumping sewage to Bolivar (and) the smell stopped, now it is back,' Dr Laznicka said. 'Sometimes it terribly smells from canals under Wilson St, or a smelly cloud envelopes the neighbourhood. It seems that the hydrogen sulphide release starts in certain times of day, maybe at night, or on weekends. We are powerless to move authorities to do anything.'" Quote: "Residents in the Nanhai Rose Garden estate first complained about the bad smell from the seawater on rainy days early this month." Quote: "A JetBlue flight from John F. Kennedy Airport to Buffalo was forced to make an emergency landing at JFK shortly after take-off, thanks to an 'odor' in the cockpit. JetBlue flight 2802 took off at 6:48 a.m. as scheduled, then landed back on the tarmac a few minutes later after the crew reported fumes in the cockpit." Quote: "Qantas flight #QF1, an Airbus A380 registered VH-OQD from Dubai to London (LHR) diverted to Larnaca due to a medical emergency." Quote: "Broadband and phone lines have been restored to a number of Derbyshire and Staffordshire homes after an underground fire hit Sky customers. Customers in Derby, Etwall, Repton, Chellaston, Allestree, Breadsall, Duffield, Alvaston, Sandiacre, Barton under Needwood, Burton, Tutbury, Ashbourne, Mickleo"
Quote: "Earlier video showed crews using heavy equipment to get at the flames buried beneath all that scrap. The hottest part of the fire is deep in that pile." Quote: "Baffled eyewitnesses have reported seeing the bizarre circles in several incidents over the past two months. The latest phenomena was spotted in the UK on Sunday afternoon near Birkenshaw, West Yorks, on the M62. The circle resembled a giant smoke ring but West Yorkshire Fire Service said there had been no reports of a fire. The Met Office also confirmed the ring also did not appear to be weather-related." Quote: "Fires erupt across parts of Italy and Athens authorities shut the Acropolis as temperatures expected to hit nearly 50C in some regions..."
Quote: "The Carmel Fire Department evacuated several businesses Thursday, after 14 people were sent to the hospital with sudden flu-like symptoms. The call came just before 11 a.m. as a potential hazardous odor in the building, located near 106th and Meridian streets, and within minutes several ambulances and hazmat vehicles were on scene. The department Public Information Officer Tim Griffin told the media that when emergency crews arrived, around 30-40 people were complaining of flu-like symptoms after being in a conference room together since 10 a.m."
Quote: "'Actually, it was a health and wellness seminar,' said Woodward. 'We do this every month.'" Quote: "'Shortly after it started we had one man fall down and pass out,' he said, 'Right after that we all kind of moved over to this guy, and another guy went down face first.' At that point, Woodward said, he knew it wasn't an isolated medical emergency and he decided to evacuate his employees and call 911." Quote: "The blaze broke out in the morning on Thursday, scattering ash onto houses over 15 kilometers (9.3 miles) away and blanketing the north and west of the city, ABC reported. By Friday, the fire had grown to the 'size of a sports field' and 'as high as a factory,' Emergency Services Minister James Merlino told reporters." Quote: "It's the fourth time the recycling plant has caught fire in recent months, according to local media. Earlier fires this year broke out already in February and June. The plant provides services for a dozen local councils and recycles paper, metal, glass and plastic." Quote: "Twenty-nine people were taken to hospitals Friday after becoming ill at a University of Wisconsin-Madison health clinic, the Madison Fire Department reported. The cause of the outbreak about 10:30 a.m. at the UW Health West Clinic in the 400 block of Junction Road remained under investigation Friday, according to a Fire Department news release. Clinic officials were exploring whether sewer gas entered the building, according to the release." Quote: "A patient who was being taken to a hospital said the smell of sewer gas that wafted into the ambulance was similar to the odor she smelled inside the clinic." Quote: "'The hazardous materials team checked the air quality, and all levels indicated normal amounts of oxygen and no carbon monoxide,' Schuster said." Quote: "Within a period of a few months thousands of craters formed on the sea bed off the North Sea island of Helgoland. Gas escaping out of the sea floor entrained sand and upon settling created mounds. For the first time evidence for massive methane release has been discovered in the area of Helgoland Reef." Quote: "At least three people died and at least 12 were injured in a fire that broke out on the 26th floor of a Honolulu high-rise Friday, and hundreds fled from the giant apartment complex as smoke billowed from the upper floors, authorities said." Quote: "Flight 374 from Paris Charles de Gaulle Airport diverted to an airport outside Glasgow as a precautionary measure after a 'light smell of burning' was detected, the airline said in an email to CBC News." Quote: "The fire is now estimated at 51,750 acres and is 24% contained. Five outbuildings and seven vehicles have been lost. Three homes have been damaged." Quote: "Flames have charred more than twice as much land in California this year as they did by last year at this time, according to Cal Fire." Quote: "Fire crews say a 2006 Kia Spectra caught fire while driving north on the 101, south of the TV Tower. As the Kia pulled to the right shoulder, the fire began to spread to the mountain side." Quote: "This is the second fire on the Cuesta Grade sparked by a burning car in about a week." Quote: "The witness said his friend’s car had been running fine and the fire was a complete surprise." Quote: "Fire crews in Clairton are working to tackle a fire that’s burning 50-to-70 feet underground, at the bottom of a large mulch pile. Crews were called to the scene on Worthington Avenue Sunday and poured water on the fire to little effect. The Allegheny County Health Department has been called out to assess the situation and figure out how to tackle the fire." Quote: "A fire in a truck and trailer that started about 2:45 p.m. south of Willits about mile marker 37 on Hwy 101 has spread closing all north bound lanes. The fire has been quenched, according to the witness who sent us these photos but the hillside is still burning." Quote: "UPDATE 6:09 p.m.: A firefighter with 'stabbing' chest pains is being brought down to an ambulance code 3–emergency." Quote: "Lanes of Highway 4 reopened to traffic Sunday evening after a car that caught fire sparked grasslands and led to closure of an on-ramp, authorities said." Quote: "Firefighters responded to a car fire that spread to brush Sunday morning in San Jose, fire officials said. According to a San Jose Fire Department dispatcher, a car fire was reported at about 4 a.m. in the area of Sierra Road and Skyview Drive. The fire spread from the vehicle to some nearby brush." Quote: "A blaze erupted in a fire truck parked in a fire station early Sunday, but firefighters quickly extinguished it and no injuries were reported, a fire official said. The cause of the blaze was under investigation. The fire was reported shortly before 4:30 a.m. at Station 32, 10201 White Settlement Road." Quote: "We did have an aircraft from Charlotte to RDU this afternoon, that landed at 2:19 p.m. ET, and arrived the gate at 2:21 p.m. ET, that is currently out of service for an actual mechanical issue – and odor in the cabin. But it is not due to 'passed gas' as mentioned." Quote: "Passengers suffered nausea and headaches throughout the ordeal; a few people became ill while leaving the flight, WNCN reported." Quote: "Officials believe medical emergencies caused two separate accidents in the Alle-Kiski Valley Sunday afternoon. The first happened around 4:15 p.m. along Freeport Road in East Deer when a male driving a red Chevy truck crossed the yellow line and crashed into a parked truck with a trailer attached, landing on the steps and front yard of a house at 781 Freeport Road." Quote: "About 40 minutes later another accident happened in Brackenridge when a car being driven by a woman crashed into Prospect Cemetery. Pioneer Hose Fire Chief Rick Jones said they believe this accident also was caused by a medical emergency. 'It appears she had a seizure or something and ran off the road and ended up in the cemetery,' Jones said." Quote: "Two Leon County Jail inmates who were rushed to the hospital after suffering a 'medical emergency' on Thursday are back in jail. The Leon County Sheriff's Office says the inmates suffered a 'medical emergency.' Initial reports suggested that the inmates had overdosed on an unknown substance, but LCSO Lt. Grady Jordan says, at this time, there is no indication of an overdose. Lt. Jordan added that no drugs were found during a search of the inmates' jail cells." Quote: "Croatian firefighters battled for a full day to control a forest fire along the Adriatic coast that has damaged and destroyed buildings in villages around the city of Split, reaching the Split suburbs late on Monday. Local media reported that the blaze, which started shortly after midnight, has spread across 20 km and first threatened the villages of Srinjine, Sitno Gornje and Sitno Donje. One death has been reported, although it was not clear whether the cause was a heart attack or smoke inhalation. By the evening hours the blaze had reached eastern suburbs of Split. Some parts of the city were without water or electricity." Quote: "Croatian TV reported that the blaze near the key port and tourist center of Split has reached houses in some parts of the city, with residents joining firefighters in efforts to contain the flames." Quote: "Scenes in Srinjinje, Gornje Sitno, and Donje Sitno and Žrnovnica have been described as 'apocalyptic', with a number of houses burnt down already in Žrnovnica. There has also already been one fatality from the blazes." Quote: "Montenegro has asked for international help to fight wildfires raging along its Adriatic coastline, forcing the evacuation of dozens of tourists and campers, authorities said July 17. 'The situation at Lustica is critical. The interior ministry of Montenegro asked for the European Union Civil Protection Mechanism' to be activated to help extinguish the fire, the government said in a statement. Mayors of the threatened coastal towns of Kotor, Tivat, and Herceg Novi urged the government to ask neighboring nations -- Croatia, Bosnia, and Serbia-- to send fire-extinguishing aircraft." Quote: "Local CAL FIRE officials say they've noticed an increase in cars catching fire this summer with some causing major wildfires in San Luis Obispo County." Quote: "The massive fire is burning refuse at a Waste Management transfer plant that also burned a month ago on June 15." Quote: "They said that the fire started around 12.30pm at the yard, where scrap from the workshop, including oil and grease toasted iron metals and cushion and rexine sheets were heaped at height of three to four feet." Quote: "The truck went up in flames at station 21 just after midnight. Firefighters say they heard a loud pop coming from one of the engines. When they went to investigate, flames and smoke were shooting from the vehicle." Quote: "No information has yet been announced regarding the causes of the fire, although police said initial investigations ruled foul play was an unlikely scenario." Quote: "Instead the vibrations were measured to be at the speed of sound, which led to the conclusion that it was likely to have been a sonic event, such as a plane going supersonic." Quote: "Fire officials say a wildfire burning in the rugged mountains outside of Yosemite National Park will reach the edge of a Gold Rush era town Tuesday evening. California Department of Forestry and Fire Protection spokesman Scott McLean says the blaze jumped a highway earlier and is expected to get near Mariposa, a town of about 2,000 people near Yosemite." Quote: "The blaze near Lake McClure, east of Modesto, has charred more than 30 square miles (77 square kilometers). Officials report having it 5 percent contained." Quote: "They say a four-alarm fire led to 12 fire departments responding to put out the flames. We're told at least 20 cars were on fire inside the building and most of the damage is contained to the service area and body shop." Quote: "Sandtoft Road, Westgate, Belton. Tue 18 Jul 2017 00:26 (No:15671) Fire involving 32 vehicles in salvage yard. 2 BA, 2 hose reels and 1 main jet in use. Owner used forklift to create fire break." Quote: "The incident, which occurred around 9.30pm created fear as some people residing in these areas, who also claimed they heard deafening sound similar to resounding explosion ran outside their houses to ascertain the cause of the strange development." Quote: "According to her, 'we also heard some continuous sound, like when an electric transformer is humming at a frenetic pace. Some people were saying maybe Jesus had come. However, not quite five minutes later, the great lightening fizzled away and darkness resurfaced.'" Quote: "Global warming may be unleashing new sources of heat-trapping methane from layers of oil and gas that have been buried deep beneath Arctic permafrost for millennia. As the Earth's frozen crust thaws, some of that gas appears to be finding new paths to the surface through permafrost that's starting to resemble Swiss cheese in some areas, scientists said. In a study released today, the scientists used aerial sampling of the atmosphere to locate methane sources from permafrost along a 10,000 square-kilometer swath of the Mackenzie River Delta in northwestern Canada, an area known to have oil and gas desposits. Deeply thawed pockets of permafrost, the research suggests, are releasing 17 percent of all the methane measured in the region, even though the emissions hotspots only make up 1 percent of the surface area, the scientists found." Quote: "Steamers rising from the Greenland glacier could be a sign of geothermal heat under the glacier. If so, it is much about ideas and theories about the Earth's crust in Greenland, according to volcanologists. 'Men have not noticed this until now. There's something going on there. We just do not know what it is,' says Haraldur Sigurðsson, volcanologist, who discusses the steam bulbs on his website." Quote: "San Luis firefighters responded to two car fires in less than two hours Wednesday that were half a mile apart, one of which spread to a nearby tree and another vehicle." Quote: "Humans have produced 18.2 trillion pounds of plastics since large-scale production began in the early 1950s and we've put most of it in the trash. That weight is equivalent to 1 billion elephants or 25,000 Empire State Buildings. Nearly 80% of that plastic now resides in landfills or the natural environment, according to a study published Wednesday. And we’re just getting started: Scientists say that by 2050, another 26.5 trillion pounds will be produced worldwide." Note: I doubt anyone's gonna be making plastic - or anything else - in 2050. Problem solved! Quote: "It might be the city of culture and have hosted Radio One’s Big Weekend but, apparently, Hull stinks. A number of people have complained in the past few days that the East Yorkshire city centre smells of vomit and manure." Quote: "The National Weather Service in Charleston said they have also received reports of a loud explosion and some saw a bright flash of light. All they can confirm is that it is not weather related." Quote: "WVNS 59News received multiple reports on Thursday, July 20 of an explosion that was felt and heard across Raleigh county. There are reports that it was felt from Bradley all the way to Ghent. Dispatchers said they have units out looking for a cause, but it was undetermined as of 11:35 p.m."
Quote: "A blaze burning since Sunday in the hills near Yosemite National Park has destroyed 58 homes and burned 115 square miles (298 square kilometers.)" Quote: "A powerful overnight earthquake shook holiday resorts in Greece and Turkey, injuring nearly 500 people and leaving two tourists dead on the Greek island of Kos, where revelers at a bar were crushed in a building collapse. Some of the injuries were caused as tourists and local residents scrambled out of buildings and even leapt from balconies after the 6.5-magnitude quake struck at about 1:30 a.m. local time. Several hundred thousand vacationers and locals in the two countries were kept awake by dozens of aftershocks that followed the main quake, with many sleeping outdoors on sunbeds or slumped on cafe tables. Authorities on Kos said the two dead tourists were from Sweden and Turkey." Quote: "A pile of cars and shipping containers burst into flames at a Long Island junkyard on Friday afternoon, sending a cloud of black smoke towering over parts of the South Shore amid 90-degree weather." Quote: "A firefighter puts out a flaming vehicle in the driveway of 2320 Ninth Ave. E. around 2 p.m. Friday. The vehicle, which was pulled from the garage, was a total loss. Fire also damaged the garage and a second vehicle that was in the driveway. Fire crews also responded to a structure fire at a triplex in the 2200 block of Seventh Avenue East at the same time." Quote: "Atmos says it is working as quickly and safely as they possibly can, but have not found any leaks thus far. Atmos says it is also working with first responders as they all try to figure out the source of the strange odor." Quote: "The Coast Guard medevaced an ill woman from a fishing charter near Cape May, Friday. Officials with the Coast Guard say they were notified a passenger aboard the Cape May Lady was having seizures." Quote: "At least 201 quakes rattled West Yellowstone, Montana and 12 shook Lincoln, Montana during last week." Quote: "A woman was found dead after a house fire in North Minneapolis Saturday night, according to Minneapolis police. The fire started just after 9:30 p.m. Saturday in the 1200 block of Newton Avenue North. Firefighters said a garage was engulfed in flames when they arrived. The garage was attached to the house, and the fire spread to the attic before being brought under control. After the fire was extinguished, police said the woman was found inside a vehicle in the garage. Police are working to determine whether her death was accidental, but they have ruled out homicide as a potential cause." Quote: "It’s unclear if global climate change is to blame, but a professor of fire science at the University of California Center for Fire Research and Outreach said firefighters have been reporting in recent years that wildfires in California aren’t slowing down at night like they used to." Quote: "Firefighters were called to a fire involving scrap metal at a commercial premises in Widnes. The fire involved approximately 300 tonnes of scrap metal and three main jets and ground monitors were used to extinguish the flames. Crews moved scrap metal from the area to help with extinguishing the fire." Quote: "The contractor of the building told WCVB the complex was almost complete. He said he had $1 million worth of equipment destroyed in the fire." Quote: "'In my 32 years this is one of the, if not the largest fire,' said the fire chief." Quote: "The Lodgepole Complex Fire raging just south of the Missouri River Breaks near Jordan doubled its size Saturday night to reach 200,000 acres by early Sunday morning. Gov. Steve Bullock declared a fire emergency in the state in response following briefings from the Department of Natural Resources and Conservation and Disaster and Emergency Services at the Department of Military Affairs." Quote: "More than 800 firefighters were dispatched to the Serta municipality, while almost 600 others were on the ground to deal with a blaze which began on Sunday afternoon near the central riverfront city of Coimbra. Forest fires also temporarily threatened two villages in the central west of the country." Quote: "Warwickshire Fire Service were called to cars on fire on Thurnmill Road, Long Lawford at 1714hrs on Sunday 23rd July 2017, two appliances from Rugby were in attendance. Crews quickly discovered three cars on fire within the scrapyard, the vehicles were extinguished using a hosereel jet." Quote: "One person and one dog have been confirmed deceased by Cottonwood Police during the preliminary investigation of a car fire on Chuckawalla Drive, near Mesquite Drive, around 4 p.m. Monday. Cottonwood Police Chief Steve Gesell said it was a unique situation." Quote: "A huge fire has hit the French Riviera with the blaze forcing residents to flee homes in the Saint Tropez region. Photos shared on social media show large plumes of smoke above the hills above the posh beach resort region. One resident, Paul Adieannsens, tweeted: "Big fire in La Croix Valmer. 'Just made it to escape from our house!' The location of the fire has been described as southeast of the main St Tropez township near the town of Ramatuelle. Water-bombing helicopters were said to be urgently flying over the area in a bid to put the flames out. 'Mega fire close to St. Tropez,' Mirjam vanden Broeke tweeted." Quote: "Hundreds of firefighters were battling blazes across southern France on Monday, with one inferno spreading across 900 hectares of forest and threatening homes on the island of Corsica, emergency services said. Residents were evacuated from homes at the edge of the town of Biguglia, on the island's northeastern coast. 'The fire is very fierce and heading to urban areas of Biguglia,' lieutenant-colonel Michel Bernier, of France's civil defence forces, told AFP. The blaze engulfed a sawmill and burned 10 vehicles." Quote: "'Around 7:24 this morning, we had a fire alarm at the Hampton Inn -- smoke in the pool room,' Assistant Chief Tim Hall said. Hall says the incident led to be a bad HVAC unit." Quote: "Minutes later, crews were quickly pulled in a different direction, just a quarter-mile away. 'Following that call, we had two vehicles on fire at Auto Boss at approximately 7:35,' Hall said. Hall said two trucks are total losses, while a third vehicle sustained heat damage." Quote: "The temperature of the lake has exceeded 50 degrees and eliminated the thermocline that would have been responsible for keeping decaying material found at the bottom of the lake from surfacing. This decaying material is the source of the odor as it is releasing both carbon dioxide and hydrogen sulfide." Quote: "Two schools in Talisay City, Negros Occidental suspended classes on Tuesday morning after fumes from a still unknown source leaked inside the campus. Six teachers, two parents and several students of the Talisay South Elementary School reportedly fainted, vomited and felt dizzy after inhaling the foul odor." Quote: "Meanwhile, Colegio San Nicolas De Tolentino – Recoletos, a private school near the campus also suspended classes after some of its students experienced dizziness and difficulty in breathing. Some students were rushed to the City Health Clinic for Medical Attention." Quote: "Over 600 firefighters from 34 states have gathered in eastern Montana’s Garfield County to help stop the spread of what is now the largest active fire in the US. On Tuesday, more than 600 firefighters began fighting the raging Lodgepole Complex fire that has destroyed 250,000 acres of range, brush and timber close to the Missouri River, according to the National Interagency Coordination Center, which gives logistical support for wildland firefighting. The fire has ravaged 22 structures, according to Reuters." Quote: "Five Indonesian provinces have declared states of emergency as peatlands burn in Aceh and the risk of fires spreading elsewhere increases during the annual dry season, an official said Wednesday. National Disaster Mitigation Agency spokesman Sutopo Purwo Nugroho said 18 helicopters have been deployed to help extinguish fires in Sumatra and Kalimantan. Satellite images show that the number of fires increased from 150 on Sunday to 179 on Tuesday, he said. Nugroho said the provinces of Riau, Jambi, South Sumatra, West Kalimantan and South Kalimantan have declared emergencies in anticipation of a worsening of the fires and to mitigate the choking smoke that peatlands generate when burned." Quote: "The Kershaw County Coroner's office says a five-year-old boy died after the car he'd been left in caught fire." Quote: "West says the incident happened outside a home in the county around 10:53 a.m. Wednesday, when the mother went to another person's house. While she was inside, she left her three children in her car with the vehicle running and the air conditioning on. Somehow, though, the car caught fire, and two of the children were able to get out and run inside to get help from their mother. The mom opened the back hatch of the car, and began removing Easton from his car seat. She was able to get the child out, but at that point, West said the child had burns on 75 percent of his body. He was taken to the Augusta Burn Center for treatment, but eventually succumbed to his injuries. West says the mom received burns to her arms from trying to get her child out of the vehicle." Quote: "Residents of Temple, Greenville and New Ipswich say they heard and felt a loud explosion Wednesday night around 9 p.m., according to interviews and messages on social media. Hillsborough County Sheriff’s office confirmed officers were dispatched to Greenbriar Road in New Ipswich at 9:01 p.m., but they said 'nothing was found.' It is not known what caused the explosion. Samanta Febonio posted a comment on Facebook that read, 'What in God’s name is that explosion? I’m terrified.'" Quote: "Wildfires are also burning in nearby Corsica, Portugal, Italy, and Albania." Quote: "More than 2,000 firefighters are battling nine major wildfires in Portugal, where drought conditions, high temperatures and strong winds are fueling the flames. Almost 1,000 other firefighters are conducting mopping-up operations at 37 other Portuguese woodland blazes Wednesday. Ash floated in the air and vast plumes of smoke covered areas of central Portugal, in the area around Serta, about 200 kilometers (125 miles) northeast of Lisbon. The Civil Protection Agency said 24 water-dropping aircraft were in action." Quote: "Alaska Airlines flight AS-792 had to divert and make an emergency landing at Spokane International Airport, Spokane County, Washington, on July 24th. The Boeing 737-800 flying from Seattle, Washington, to Detroit, Michigan, had to divert due to burning odor on board." Quote: "A man is suffering from injuries after he was burned in a fire while driving. Firefighters told Action News a man was driving his car at 28th Avenue and Olympia Street when a car fire burned him and caused him to inhale smoke, just before 6 p.m. Wednesday. Medics rushed the victim to Trios Health where he is being treated for possible burn injuries and smoke inhalation." Quote: "Along with local fire departments, we are receiving calls about an odor in the Columbus area. So far, we have not found any evidence that natural gas is responsible for the odor. Natural gas has a sharp and distinctive odor, often described as 'rotten eggs.' The odor includes sulfur, the same compound that produces an odor after a match is struck." Quote: "A body was found inside an RV after a fire on March Point, northwest of the Tesoro refinery, in the late afternoon Thursday. Anacortes Fire Department was first on scene after the 3:49 p.m. call, followed by personnel from districts 11 and 13, said Chief Roy Horn of District 13. The body was thought to be a female in her 60s but that has not been confirmed, Horn said. Pets may also have been killed by the fire. When crews arrived on scene the RV was fully involved in flames, said Anacortes Chief Richard Curtis. There was no potential for a rescue at that point, he said." Quote: "We spoke with the owner who estimated he lost at least 500 cars in the fire, many of which were reduced to smoldering shells of steel." Note: Everyone into the ark! We don't have an ark?! To the ark store! Quote: "Two fire appliances and a specialist officer were mobilised to an incident at the above location after reports of a strong smell of gas in a property. On arrival crews found there was a smell of gas but no reading on the gas detector." Quote: "Witnesses say they saw 'a big ball of fire' coming from an Air Canada flight that took off from Pearson Airport Friday night. Air Canada said the flight bound for Ottawa turned back shortly after taking off because of engine issues. Anwar Haq told the Star he was at his friend’s backyard barbecue in the Rexdale area in Etobicoke when he heard a 'big bang' around 7:50 p.m. 'I looked up and saw an airplane and then there was a big ball of fire coming from the left engine.' Haq said the fire went out and then he heard three more loud bangs." Quote: "The fire started around 4 a.m. at Horizon Metals Inc., a wholesale buyer and seller of precious metals on Pulaski Road, just north of the Kennedy Expressway. Witnesses heard at least two explosions after the fire started." Quote: "The precious metal company also specializes in scrap metal recycling, so fire crews made sure to check for any possible chemical leaks." Quote: "Witnesses said, they heard a loud bang around 12:00pm and saw fire erupting out of the ground." Quote: "A grass fire that started Friday afternoon when a car caught fire on state Highway 84 in unincorporated Alameda County is under control, an Alameda County Fire Department battalion chief said." Quote: "Saturday 29 July, 2.51pm Hydrogen sulphide detector sounding, Deansway, Chesham. One appliance and crew from Amersham, one from Hemel Hempstead and an officer attended. Firefighters used a gas monitor." Quote: "The Rochester Fire Department is currently investigating an incident where a woman caught on fire near a bus stop at the intersection of E. Main Street and East Avenue early Saturday morning." Quote: "Units were on the scene in the 400 block of McKinley Street in St. Charles about 7:20 p.m., finding a fully involved detached garage on fire, stated a news release. While putting out the fire, firefighters located an 'obviously deceased' adult male victim inside a car in the garage." Quote: "Residents in Wasco County woke up to a rather unpleasant smell Saturday morning. A landfill fire started in the middle of the night, but is under control, according to Mid-Columbia Fire & Rescue. Crews have been working with bomber airplanes from Dallesport, which have made about 30 water drops already. Officials say the fire is difficult to reach, and that they don't know how it started." Quote: "Social media images showed huge flames climbing up the side of the stage. Eyewitnesses said the stage 'exploded'." Quote: "A wood pallet manufacturer's warehouse burned down early Saturday, Marion County firefighters said. Firefighters who responded to the two-alarm fire around 1:17 a.m. found heavy smoke and fire coming from the 3,000-square-foot warehouse on U.S. 301." Quote: "The Whitley County Coroner said a man appears to have died while enjoying recreational activities on Big Cedar Lake. Emergency crews were called Sunday afternoon to the Tri-Lakes area for a reported drowning. The corner said the man was on the lake on some type of flotation device when he suffered a medical episode. The man was pronounced dead despite the best efforts of first responders performing CPR, the coroner said. The coroner said it didn’t not appear the man drowned." Quote: "A hike turned deadly at Harriman State Park Sunday after a 40-year-old suffered cardiac arrest. News 12 has been told that it happened about a half-mile into the woods from the Reeves Meadow Visitor Center at the park. Police say the man was hiking along the blue trail when he fell ill. It took first responders about 45 minutes to get to him." Quote: "State Park Police and local emergency personnel responded to a cardiac arrest involving a 40-year-old man along the Blue Trail near Pine Meadow Lake in Harriman State Park..."
Quote: "One first responder had to be taken to a nearby hospital after he fell ill in the woods." Quote: "Crews responded to Lake Keowee Sunday night, said Oconee Fire Department Chief Charlie King. According to King, one person suffered a medical emergency at the lake. King said that person was airlifted to Greenville Memorial Hospital, and that there would be no investigation into the incident." Quote: "An infant suspected of having a seizure led B.C. Ferries to turn around the Spirit of British Columbia Sunday afternoon, leading to a delay of 74 minutes on the Swartz Bay-Tsawwassen run. The vessel had left Swartz Bay, but returned to the dock to get the child to medical help. It was 'deemed medically necessary to turn ship around,' B.C. Ferries spokeswoman Deborah Marshall said." Quote: "Peaks Lane, Grimsby. Sun 30 Jul 2017 10:59 (No:16622) Adult male collapsed outside fire station. First aid and oxygen administered until arrival of ambulance. Male left in care of paramedics." Quote: "A man estimated to be in his 60s was found dead inside of his Westwego home Monday night (July 31) after firefighters responded to a call of a 'man in a wheelchair on fire,' according to Westwego fire officials." Quote: "Investigators said he was trapped on a medical scooter, similar to a motorized wheelchair, in the hall of his home on Avenue A. Now the State Fire Marshall’s office is looking at the scooter a potential source of the fire." Quote: "So far, the investigation is backing up what neighbors believe they saw when they tried to rescue their friend. 'When I got there, he was sitting in his chair and he was burning from the bottom up in flames,' Mark Hahn said. 'He was moaning and I couldn’t get him out.' Thompson said no other ignition sources near the scooter have been found so far, but said the investigation is still in the preliminary stage." Quote: "Firefighters are expected to remain through the night to monitor the site of the old steel mill where a 25-by-25-foot pile of discarded scrap metal, including old air conditioner units and refrigerators, caught fire around 7:30 p.m., said fire department spokesman Lt. Tim Rostkowski. The debris was collected from the site and was going to be loaded onto nearby ships and hauled away, he said." Quote: "Two homes were damaged by a fire that started in a car. Firefighters went to the 1800 block of Brownell Road in Dayton just after 2:30 a.m. on Monday. When crews arrived, they found a car on fire parked in between two houses." Quote: "Another vehicle fire has spread beyond the car and into vegetation, CAL FIRE SLO reported Monday night. The fire started just before 8 p.m. on Pina Selva Place in the Templeton area."